Hops cultivation has not been recently introduced to the region. The first references of hops in the region date all the way back to 1796. Even though its exact origins aren't known, the STRISSELSPALT variety first appeared in Alsace in 1885. 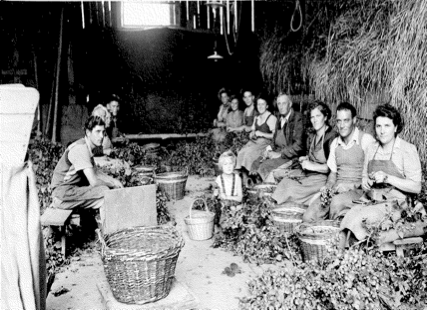 By 1914, hops production had expanded and was being grown on approximately 4,000 hectares (9880 acres) of land. In 1939, the 363 hops growers in the region created a professional organization that would help them to better represent their interests. 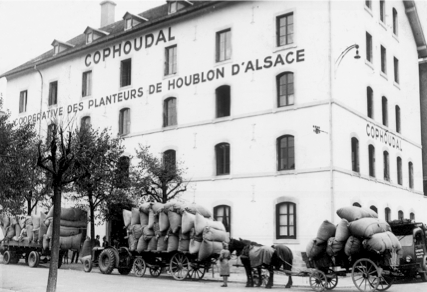 The COPHOUDAL (Coopérative des Producteurs de Houblon d’Alsace), or the Alsace Hop Producers Cooperative, was created.